"Establishing a trusted relationship with Graphic Language has allowed us to work together over the years to determine what best meets our needs. The entire team is knowledgeable, helpful and a pleasure to work with." Discovery & Seeno Homes, a top-ranked homebuilder year after year, has been building homes in the greater Bay Area for nearly 80 years. A client of Graphic Language for nearly a decade, we continue to support Discovery/Seeno Homes with full-service digital marketing and technology solutions. 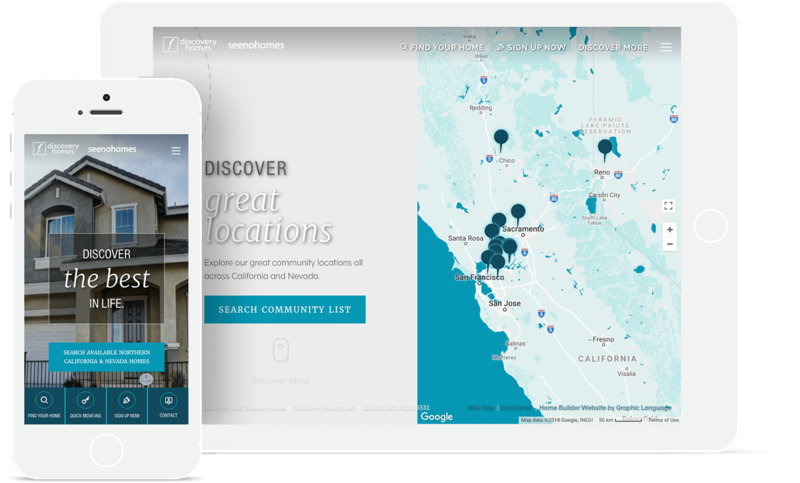 The new Discovery & Seeno Homes website seamlessly blends innovative design and robust functionality to provide a unique digital experience that immediately engages homebuyers, increases online visibility and quality leads. With multiple communities in multiple regions, Discovery Homes presented a number of challenges. 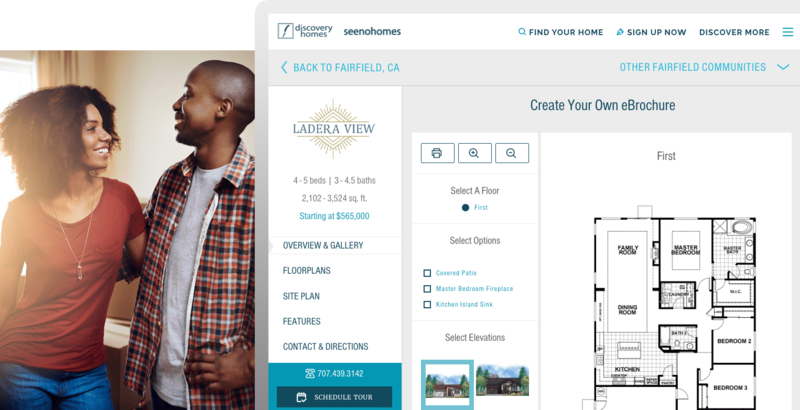 For starters, simple, intuitive home search—getting home-shoppers to communities fast—was top priority. Other challenges included improving SEO, increasing download speed, enhancing community content, providing more content management, and expanding the overall design and interactivity. Easy home search. Persuasive design. Robust functionality. Deep data integration. % Organic/Direct Traffic per Mo.